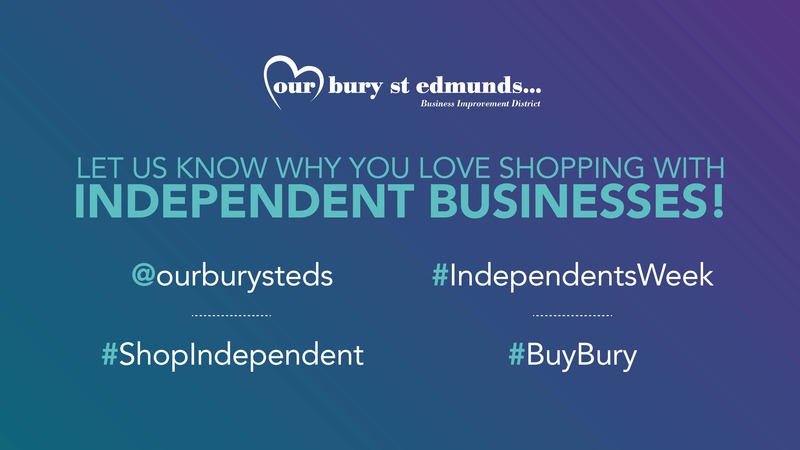 Join us in supporting the range of fantastic independent businesses in Bury St Edmunds! We'd love it if you helped promote this week on your social channels and spread the word! Download our social images below. 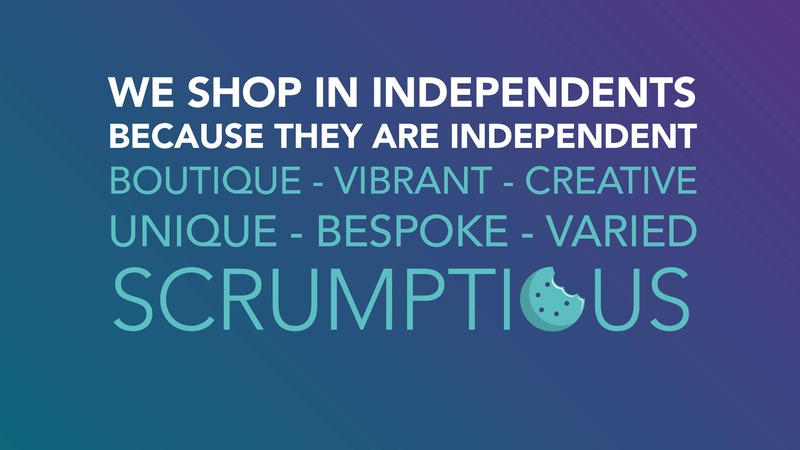 Why do we celebrate Independents Week? 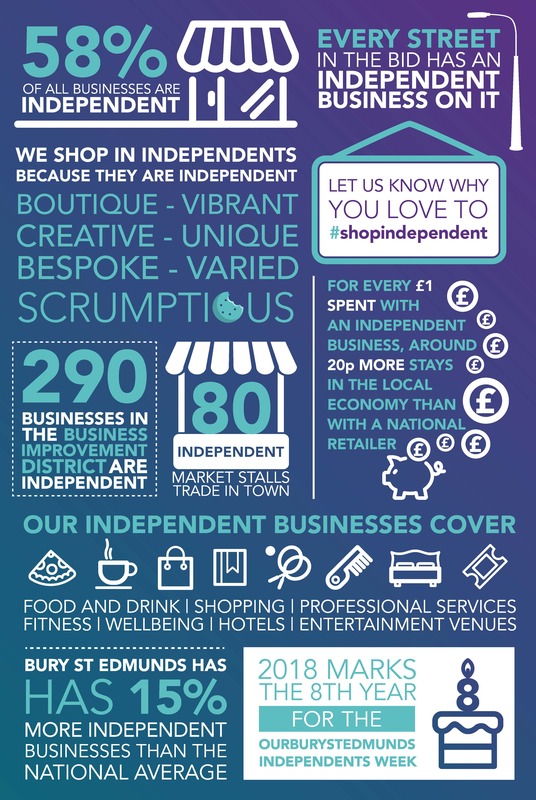 There’s so many reasons to shop and visit independent businesses in Bury St Edmunds. 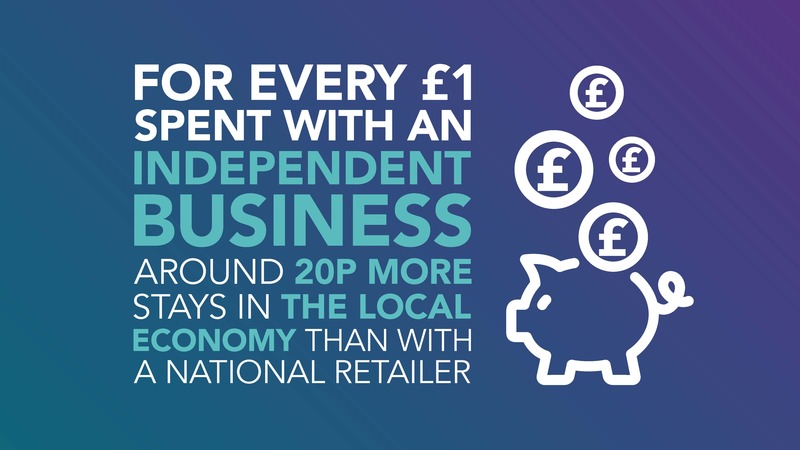 Not only do they offer unique products and provide fantastic levels of service, but for every £1 you spend with a small to medium-sized business, over 20p more stays in the local economy, compared when you shop in a larger business. This can be used for Facebook and Twitter, the header is the large image at the top which helps to capture attention of the user, and is a great way to advertise a campaign or a particular topic that you would like to promote. An infographic is a full page image or poster that presents facts in a visual way that is easy to digest for the reader. It's also a nice anf un way to present facts and statistics about a certain topic. This is pictured fully at the bottom of this page. 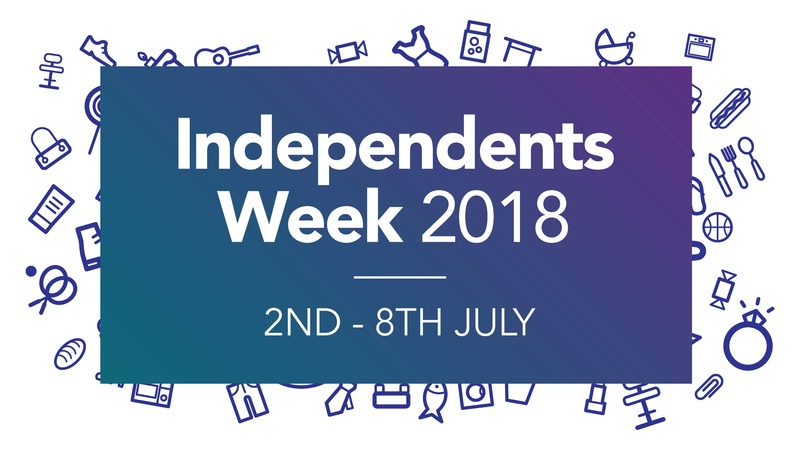 This the Independents Week 2018 logo which can be used on Facebook or Twitter. This is a lovely statistic on the benefit shopping in the local economy has versus shopping in larger shops. This can be used on Facebook or Twitter. Another great statistic to post on social media, this can be used on Facebook or Twitter. This can be used on Facebook or Twitter. This is a great call-to-action image that asks users to get in touch to let you know why they love to shop independently or in your business! Can be used on Facebook or Twitter. Independent shops and businesses are what make Bury St Edmunds unique. 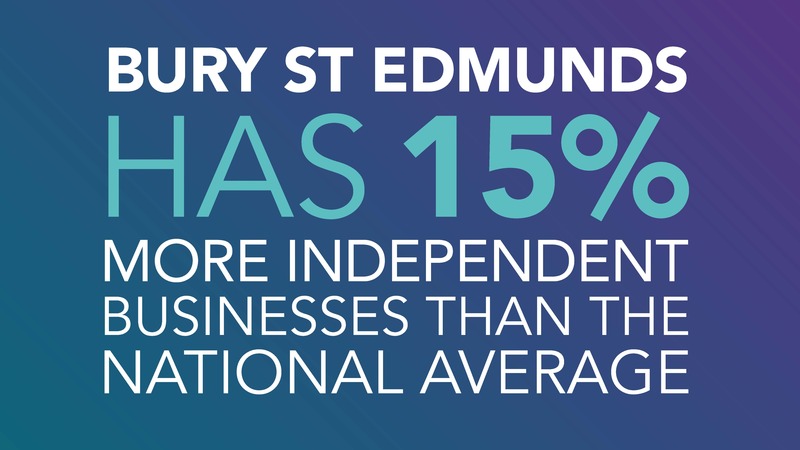 This is the eighth year that the Business Improvement District (BID) organisation Our Bury St Edmunds has organised a specific campaign to encourage more people to ‘shop local’. As well as special offers and deals to mark the week, a Town Crier will be helping the celebrations along in the Town Centre on Independents’ Day letting everyone know about the variety of independents available.